For over 40 years now, The Anglican Centre in Rome has played an important role in fostering this conversation. 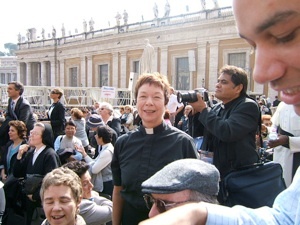 The Director of the Centre is the Archbishop of Canterbury’s representative to the Holy See. He gives lectures and talks throughout Italy, and is a key resource for Anglican and Roman Catholic pilgrimage groups. The Anglican Centre in Rome's welcoming home-like atmosphere allows Anglicans and Roman Catholics to relax, discuss, and get to know each other. 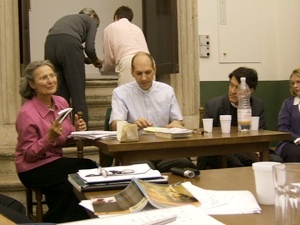 Ecumenists, theologians and diplomats work daily in Rome in an open exchange of ideas and friendship, determined to discover new ways to Christian unity. True understanding precedes commitment, and this is an engaging and little known aspect of modern religious life. You may not know it, but as an Episcopalian, you are part of this dialogue -- and you have a place in Rome! "As human beings, we do not only carry on dialogue, we are dialogue, we are by nature dialogical beings. This is even more true for our Christian existance, for biblical Revelation is God's dialogue with human beings."